The actual size of any resistor depends on its wattage rating. The higher its size, the higher the watts it can handle. 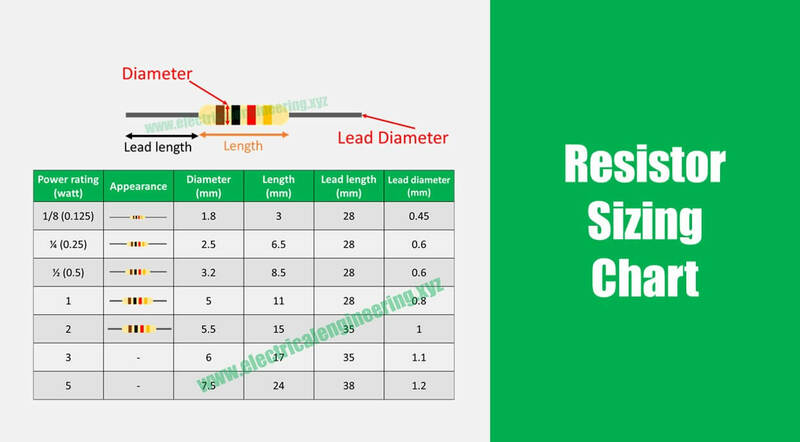 The chart below presents the power rating of different resistors and their sizes. Remember that actual size may vary. Resistors above 5 watts are termed as power resistors and are usually available in different construction. 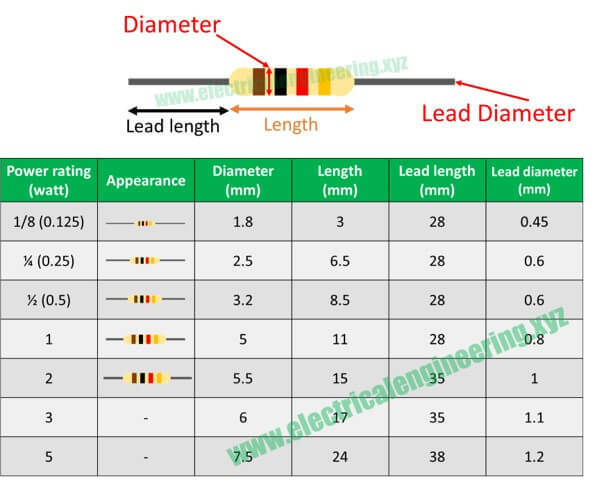 While the above classification is a general one and is correct for carbon resistors keeping all other parameters constant, the actual size of resistors can be different based on manufacturers as well as the construction material.